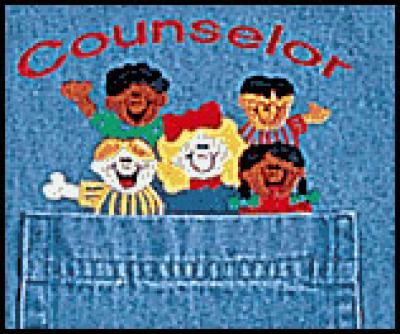 "Counselor denim shirt. The phrase ""Counselor"" is embroidered, along with the faces of happy children. Denim shirt with embroidery. Adult Ladies and Adult Mens Cut 100% cotton. Great gift for counselors!"